“We are stuck in this debt cycle because we are poor” – Loan repayments leave pensioners penniless. In Orange Farm, the micro lender Moneyline gives pensioners and other grant recipients loans easily. Moneyline does not charge interest on loans, however the management fee and other costs incurred amount to high repayments, up to 38% of the loan amount, which is unaffordable and leaves families in further debt. Ntate Senyane, who is a pensioner from Orange Farm says, “It’s an issue of poverty, we receive our grant money but it’s too small. It gets used up on paying pack loans and taking kids to school and we take out more loans.” He started off borrowing R800 but the second time he went, his loan amount increased to R1000. “They offered R1000 and I took it because I was broke at the time. They then deducted over R400 from me.I really didn’t expect them to deduct so much. All the grants recipients interviewed are of the believe it is SASSA loaning them money. They had not heard of MoneyLine. 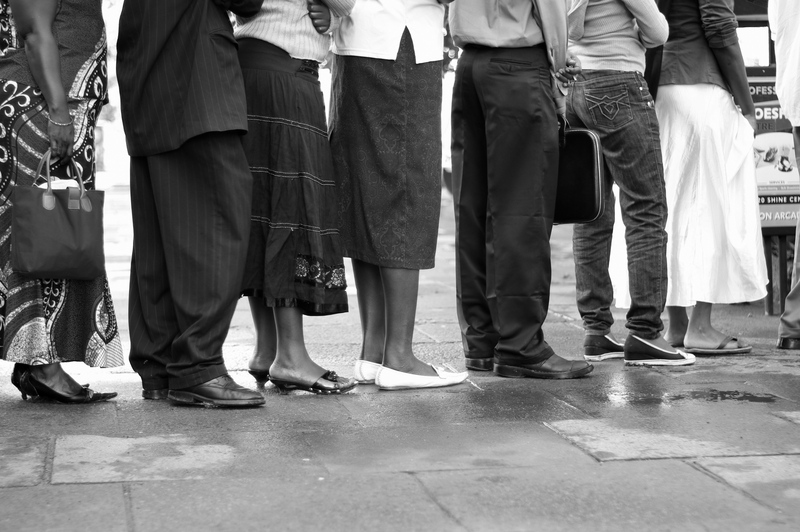 MoneyLine is a subsidiary of Net1, the company that holds the government contract to pay social grants on behalf of SASSA. 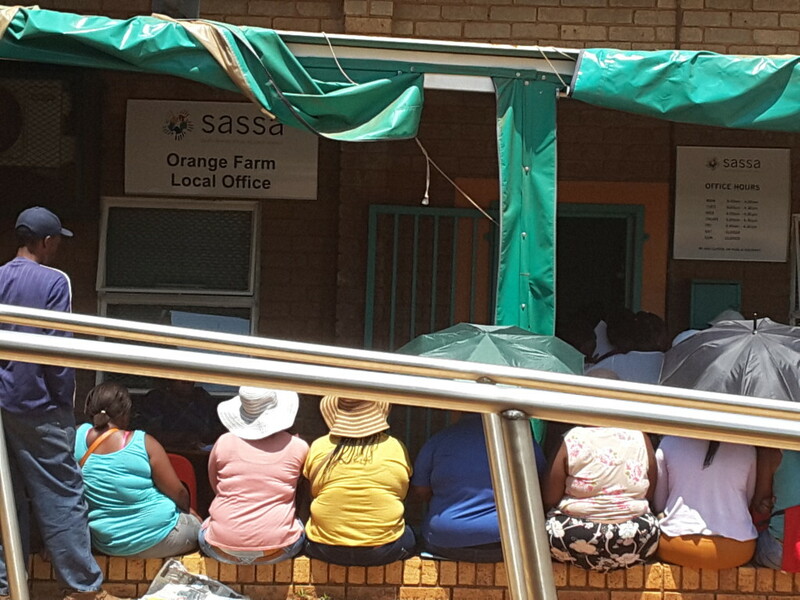 When asked why they were certain it was SASSA Majola says,“its SASSA because the place is at the SASSA pay point and you can’t get a loan without your SASSA card, all you need is you sassa card.” In Orange Farm, SASSA officials have made no attempt to distance themselves from micro lenders. 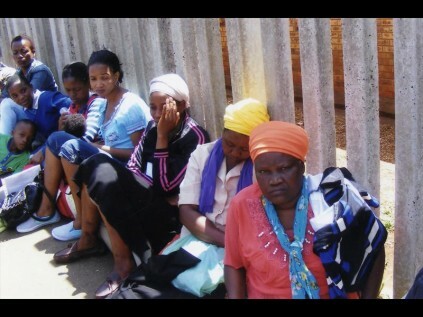 A SASSA official, who wishes to remain anonymous, says they were well aware of the micro lenders operating in their vicinity but there is nothing they can do about it. Head paralegal of the Orange Farm Human Rights Centre, Bricks Mokolo is adamant that, “the government has created a space for business to interfere with the accounts of people,” and that the Minister of Social Development needs to take a serious stand on this matter because it is leaving families destitute which defeats the purpose of a social grant. Allowing a situation where vulnerable people are given loans with high interest rates is morally questionable. By law, a credit provider must conduct an affordability assessment to ensure that the recipient is able to afford the repayments; no such tests were conducted with the pensioners interviewed. In some cases, the loan agreements documents were not signed and loan repayments continued after the “agreement” was over. Jimmy Golele of the National Credit Regulator (NCR ) says “the law doesn’t prohibit people from accessing grants using their SASSA cards.” However Black Sash has launched a campaign calling for amendments to the Social Assistance Act criminalising the use of social grants as collateral by lenders. They are also calling for social grants to not be considered as income.